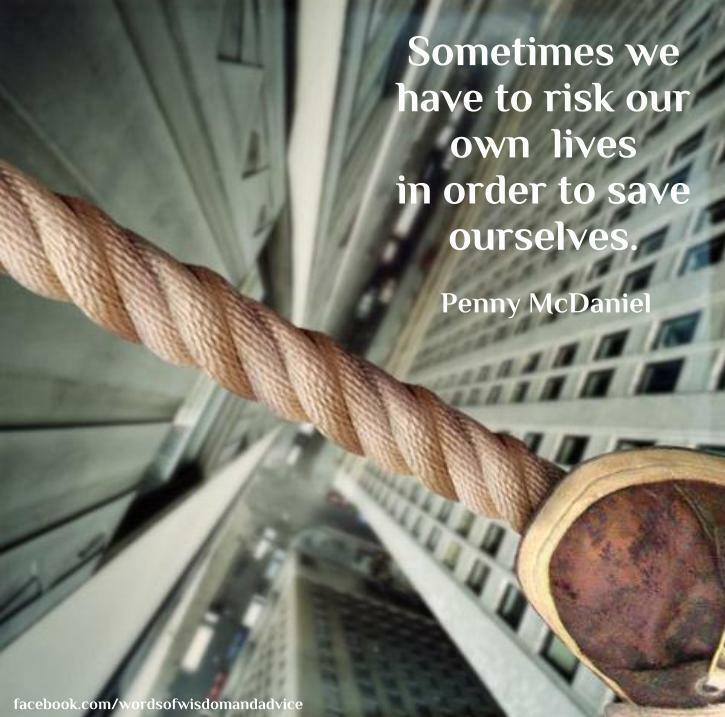 SPIRITUNITY: Walking The Tightrope Between "self" And "Self"
Recently, a former student of mine (I'll call him J.R.) said, "I wanna be a waiter in NYC...that auditions for lowly theater companies. That is my dream life, and sadly, I can't muster the courage to follow it. Damn society and its confines!" And I thought, how incredibly sad--and angering--that such a young man, in preparing himself for the "real world," feels that he can not follow his passion because of the dictates of society. Here is a young life, overwhelmed with AP classes so he can be accepted to a prestigious university, overburdened by expectations to succeed in a reputable career, and over-scheduled by activities that drain him of his time and energy (and life!) so he can project and market the "right" image. He's teetering on a tightrope between what's expected of him versus what he desires for himself. How many of us have been in a similar position? Dreams can be big, or they can be as simple as J.R.'s. But, a dream is a dream, no matter the size. J.R. doesn't want to find a cure for cancer. He doesn't want to save the world. He wants to be himself -- not some copy of someone else. Some people may say that J.R. will be throwing his life away and wasting his intellect should he follow such a simple dream. I say his desire is a compass for direction in his life. He is yearning for expression. The person J.R. wants to be will always be with him, tugging at his shirttails in those quiet moments, nudging him to follow his passion and live his dream life. I don't know what he will decide. All I can do is encourage him in his decision-making process and hope he finds the courage to bloom into his authentic self, whoever and whatever that may be. As we reach toward and re-claim our authentic selves, as we walk that tightrope from who we are expected to be to who we yearn to be, we find ourselves riddled with questions and haunted by self-doubt. The shakiness we feel is normal any time we find ourselves transitioning between self and Self. But. we can take comfort in knowing that Divine Wisdom underlies all events, and no transition fails to bring good. As we attune ourselves to the unfolding, we release those nagging questions and doubts to a higher hand. I will not tell J.R. what to do with his life or how to live it, but I will encourage him to be true to himself and to go into the direction that he believes will serve his highest good on the road to his authentic self. May we all rely on Divine Wisdom to guide us toward our happiness. Well said, Penny. I find it sad and angering as well and I'm absolutely all for finding, loving and living your authentic self. Having said that, we all have different journeys to get there and different lessons to learn. It might not be a straight, direct path. Or it might be. It sure hasn't been for me! Thank you, Leanne. I don't think any path is straight and direct, but that is the beauty of it...the journey. Like you, mine has been quite circuitous! Thanks for commenting.